The Bellevue Beach Paradise Hotel is situated on the edge between the turquoise waters of Mexican Caribbean and the mangroves of the beautiful Nichupte Lagoon, a natural salty water pond, connected with the sea which travels through the 21 km of the hotel zone. The bay is the place chosen by hundreds of large Caribbean turtles to spawn from May to November. The staff and hotel guests plant eggs in a kind of farm on the side of the hotel to protect them from predators like pelicans. This project has earned the Bellevue Beach Paradise hotel the award Zofemat (Federal Maritime and Terrestrial Zone) for preserving the biodiversity. This hotel is the ideal place for families, couples and friends to enjoy the magnificent blue and turquoise water beaches with fine sand and easy access to all services and facilities in the middle of the tourist area of Cancun. If you plan to celebrate your dream wedding, anniversary, honeymoon or an unforgettable experience with your partner, the resort offers a wide range of possibilities under the guidance of our expert organizers who are always open to suggestions. 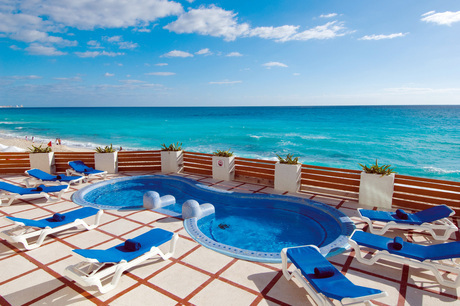 The Bellevue Beach Paradise hotel consists of 169 comfortable rooms with the best views of Cancun, decorated with a Mexican touch, and offers All Inclusive accommodation quality, so you can enjoy yourself at any time and at the best price. 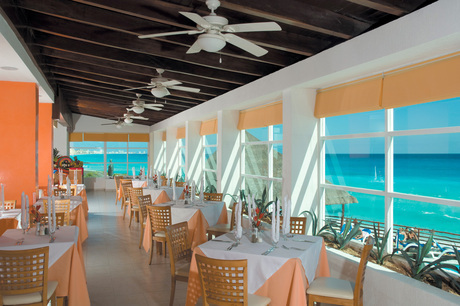 Discover the best selection of dishes in any restaurant offering international and local cuisine. Enjoy a refreshing Caribbean cocktail in one of the five available bars, like in the Barracuda Pool Bar next to the outdoor Jacuzzi or at the Theater "El Globo," having fun at our various shows and performances. In search of entertainment, both inside and outside the hotel, you will find a wide range of leisure and sporting activities such as diving, tennis, bowling, fishing and water aerobics, among others... There is a kids club for youngest children and a karaoke during the nights. Six km away you will find the best clubs and upscale shopping malls. And why not take amazing jungle excursions to see the Mayan ruins, such as the nearby Ruins of the King, and the amazing natural environment that surrounds it. 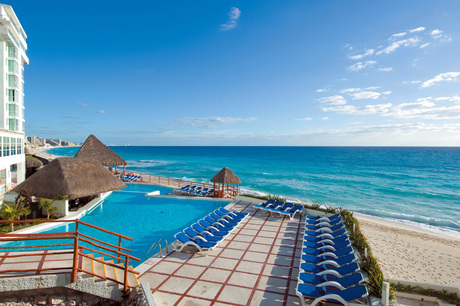 BelleVue Beach Paradise is an ideal Cancun lodging choice for your trip to Mexico. With numerous amenities for guests such as children's play area, 24 hour front desk, fitness center, you will wake up at BelleVue Beach Paradise feeling excited every day for your time in Cancun. 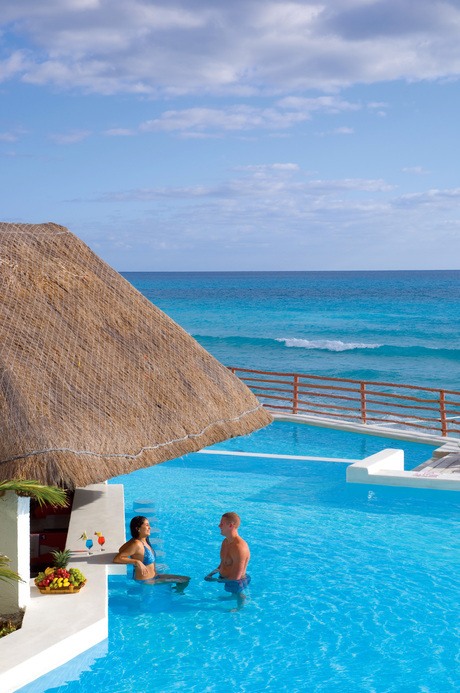 Don’t let this amazing reservation opportunity pass you by, book your stay at BelleVue Beach Paradise today to make the most of your time in Cancun, Mexico.